Decorative window film can be used to add design and privacy to nearly any space. Whether you want full privacy, or just a visual barrier, there is a decorative glass film type and design that is a perfect fit. 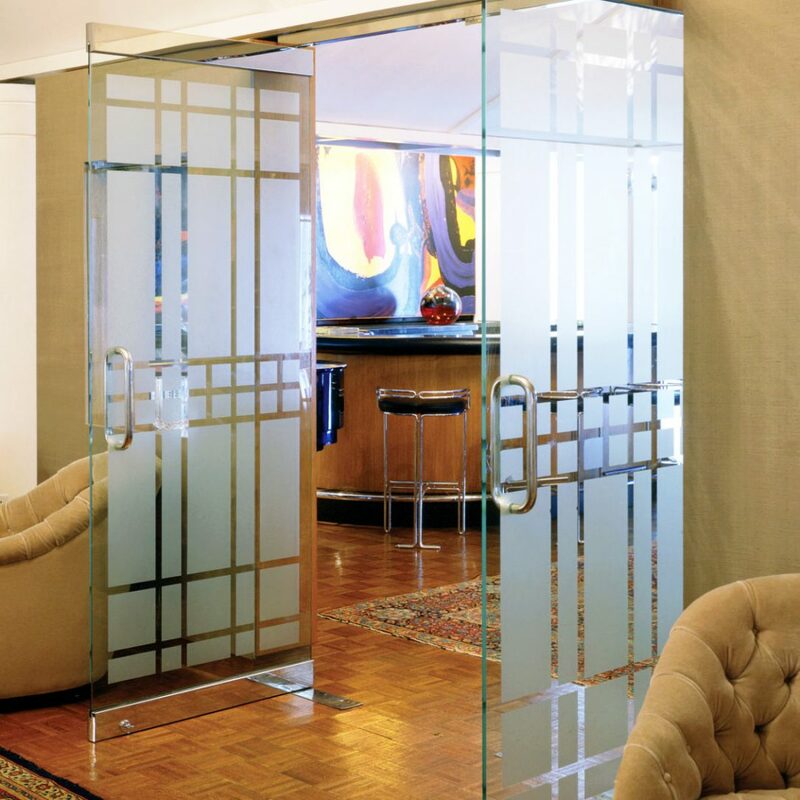 These conference room doors are a great example of how decorative glass film can be used to create a visual barrier, but still also visibility through the door because of the custom design. If you are interested in learning more about the services we offer, please contact Architectural Window Film today by calling 918-812-0953 or emailing us at mark@flatglassfilm.com for a free, no obligation consultation and estimate of implementing window film. We would be happy to answer any questions you may have about window film, the installation process and the products that we use.